Decades before whistleblowers like Edward Snowden and WikiLeaks released classified information through secure digital networks, in 1971 a group of eight political activists broke into an FBI office in Media, Pennsylvania, and stole over a thousand private documents which they mailed out to newspapers. But much like the revelations of those more recent leaks, the documents stolen by the Citizens Commission to Investigate the FBI provided early proof that the government was spying on its own citizens, mainly to control Civil Rights groups and those who didn’t support the ongoing Vietnam War. Staging their break-in on the night of March 8th, when the rest of the world was watching the iconic Fight of the Century between Muhammad Ali and Joe Frazier, they eluded capture and the seemingly inevitable charges, going years without revealing themselves to the public. But six of them came forward to share their stories in the gripping documentary 1971, which opens at the Bloor Cinema this weekend. Tickets and showtimes are right here. Through a seamless mix of solid reenactments and candid interviews with the people involved, director Johanna Hamilton does an excellent job of showing the politics of the time, while also drawing thought provoking parallels to current policies and the continuing lack of transparency. The release of these documents helped pave the way for the events of Watergate, and the use of government surveillance remain an incredibly valid part of the political conversation, both in the United States and Canada. 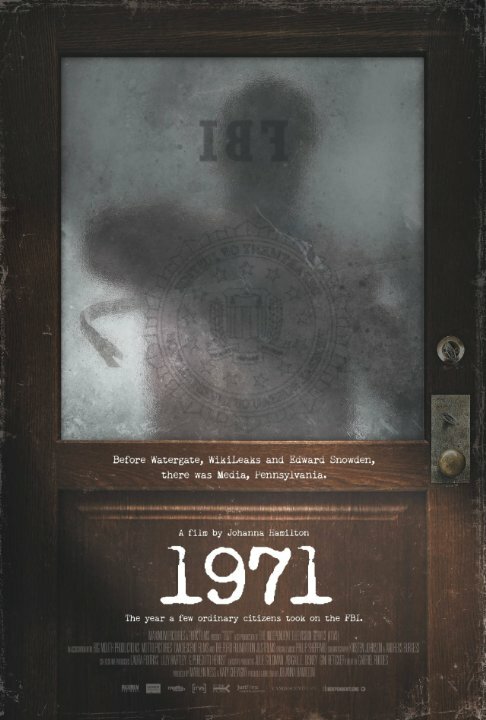 The fact that 1971 is able to weave all of this information together into a compelling and even exciting narrative is what makes the film such an impressive achievement, not to mention the importance of the themes at hand. With revelations that are still just as relevant, this is a thought provoking and extremely well made film, that provides an invaluable account of a remarkable true story. A powerful companion piece to the Oscar-winning CitizenFour, 1971 is required viewing for all progressively minded audiences.